The 2018 SBIR Road Tour comes to a close in New England! When it comes to describing the process of applying mating disruption, the word fun may not necessarily come to mind. But, that’s exactly how the inventors of a novel mating disruption device describe the process. The Department of Defense’s Beyond Phase II Conference showcases the SBIR Program’s Phase II awardees’ technologies and provides a forum for commercialization opportunities. 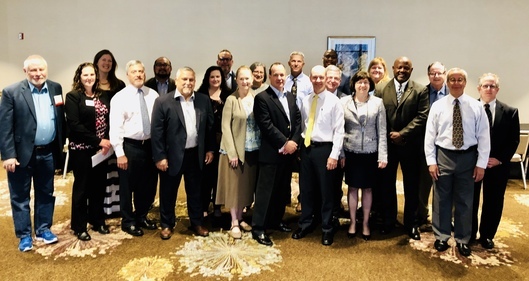 The event brings together current SBIR Phase II companies, key technology and acquisition personnel from government and industry to enable the transition of SBIR-funded research and development into products for military, government and private sector commercial markets. This three-day national HHS SBIR/STTR Conference is designed to educate attendees about the over $1 billion dollars of annual HHS funding. Interested in the NOAA SBIR Program? Join the introductory webinar on Monday, August 27. The upcoming Air Force SBIR BAA 18.3/18.C (August 24th) has more than 40 topics, including nine special topics! Check it out HERE. Funding opportunities are also available from USDA & HHS. For many small businesses embarking on the National Science Foundation SBIR program, the story of Blue River Technology is the one they want to emulate. Step 1 – Develop brilliant idea. Step 2 – Get acquired by one of the biggest names in the agricultural industry for hundreds of millions of dollars. 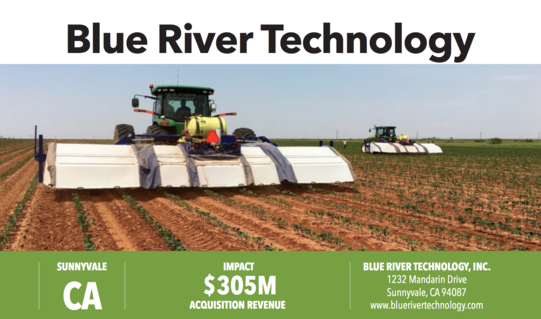 But the simplicity of that scenario doesn’t paint an accurate picture of all the hard work and grassroots efforts of the Blue River Technology team. Before John Deere showed interest in the company, the Sunnyvale, CA small business was already a leader in bringing advanced technologies into agriculture, starting with the lettuce business. By utilizing a Phase I and Phase II grant from NSF, Blue River was able to hire its first employees and gain the credibility needed with investors in the scientific community. With its “Every Plant Counts” philosophy, Blue River develops cameras that utilize computer vision and artificial intelligence to identify every single plant on the ground. With this technology, farmers can better identify needs and optimize resources, while giving each plant exactly what it needs to thrive.